Wonderful Smorch here is on a quest to obtain as much smirch as he can possibly get his slimy little hands on. Please specify if you would like to be added! Meet the members of the SmirchQuest! For some strange reason, other dragons seem to be hovering around the odd Spiral. He's very upset by this because the young dragon is worried they're out to grab his hoard of Smirch. But he does want some friends... even if they don't talk much and are kind of slimy. Most are nameless - but he does give them names when someone mis-spells "Smirch". Become a follower of Smorch! Why are you on this ridiculous SmirchQuest?? 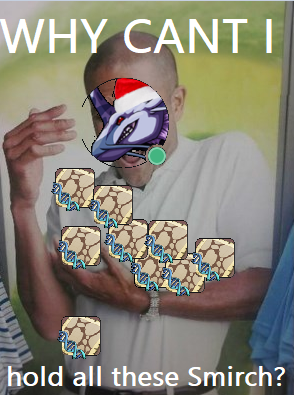 I'm not sure. 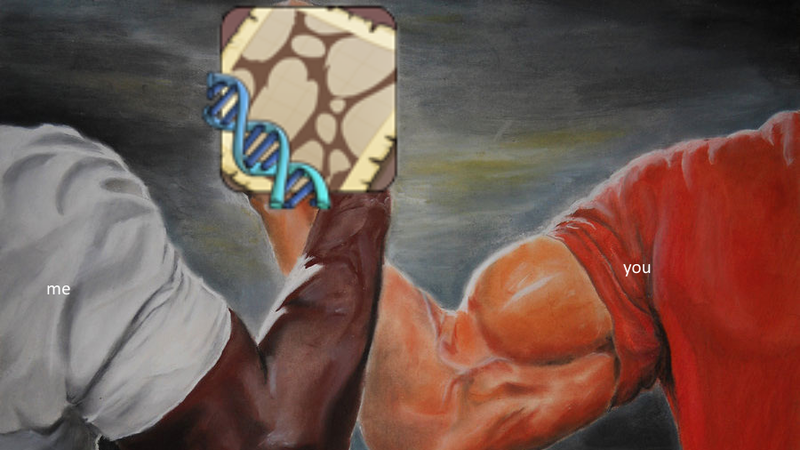 I actually really hated the gene. A lot! But then I got lots of it in my raffle. Then friends were sending me all their smirch. Then smirch started to look cute. Oh no, I've caught the SmirchQuest! 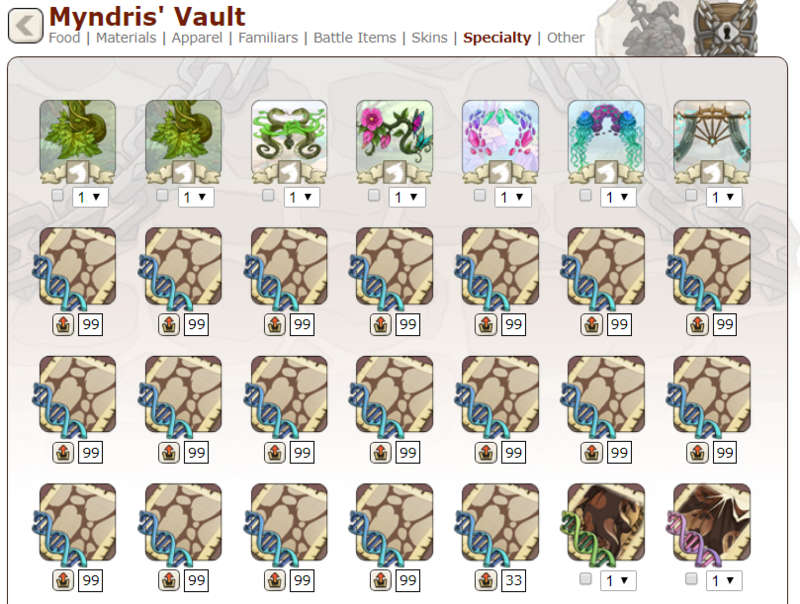 Seriously though, I just think it's funny to have this much in my hoard. What's the point? Is there a goal or limit? Nope! I'm just hoarding as much smirch as I possibly can tbh. Let's see if I can reach 10,000! 4/15/19 - Mistwing608 donated 1 smirch. 4/15/19 - Lesbos donated 2 smirch. 4/14/19 - greaticy donated 1 smirch. 4/13/19 - Elda donated 1 smirch. 4/8/19 - midigod donated 4 smirch. 4/8/19 -tharjar donated 2 smirch. 4/4/19 - Shlambini donated 2 smirch. 4/4/19 - GreenGalaxy donated 1 smirch. 4/4/19 - LynxieRG donated 2 smirch. 4/3/19 - Bit donated 5 smirch. 4/1/19 - Kay13 donated 1 smirch. 4/1/19 - Pawbeast donated 6 smirch. 3/23/19 - Nefeli donated 1 smirch. 3/21/19 - Forelle donated 21 smirch. 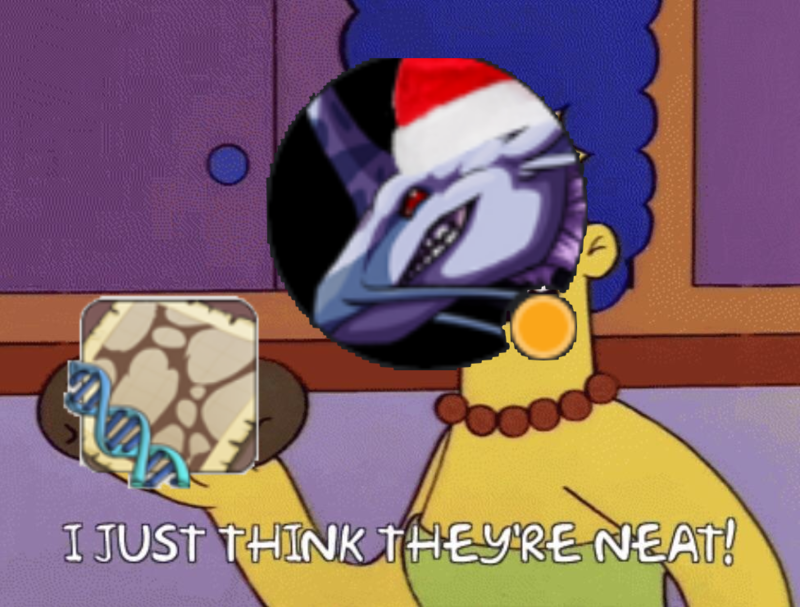 3/21/19 - TophattedLatios donated 3 smirch. 3/15/19 - Llezarii donated 5 smirch. 3/15/19 - Vuvzer donated 1 smirch. 3/14/19 - FlareTheDragon donated 1 smirch. 3/13/19 - Blurriface donated 1 smirch. 3/12/19 - Acesong donated 1 smirch. 3/6/19 - Kalypsonite donated 1 smirch. 3/6/19 - Auralinde donated 1 smirch. 3/6/19 - Phoebici donated 3 smirch. 3/3/19 - Cerion donated 7 smirch. 3/1/19 - Ikevenon donated 2 smirch. 2/22/19 - Aiiiveezee donated 1 smirch. 2/20/19 - Kavryn donated 5 smirch. 2/20/19 - Mondschatten donated 8 smirch. 2/19/19 - LokiRazzleberry donated 1 smirch! 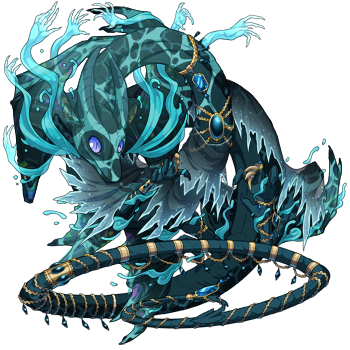 2/18/19 - CuddlyHippo donated 5 smirch! 2/16/19 - Gaias donated 2 smirch! 2/15/19 - Skydust donated 3 smirch! 2/14/19 - DutchDodo donated 1 smirch! 2/14/19 - Wolfoxx donated 4 smirch! 2/13/19 - unicornponies donated 3 smirch! 2/13/19 - Kataracts donated 6 smirch! 2/10/19 - wrecknrule donated 3 smirch! 2/9/19 - Congridae donated 2 smirch! 2/7/19 - ChildrenOfMagia donated 1 smirch! 2/7/19 - Cov donated 31 smirch! 2/6/19 - Congridae donated 2 smirch! 2/5/19 - ThePhantomWolf donated 1 smirch! 2/4/19 - papper donated 1 smirch! 2/1/19 - Possums donated 26 smirch! 1/31/19 - Boneshakers donated 1 smirch! 1/31/19 - PuzzledRodent donated 1 smirch! 1/30/19 - huskies709 donated 2 smirch! 1/30/19 - Belief donated 1 smirch! 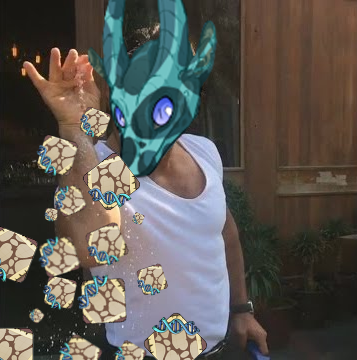 1/27/19 - Laegjarn donated 12 smirch! 1/26/19 - kyrin18 donated 2 smirch! 1/25/19 - Despairing donated 3 smirch! 1/25/19 - DarkNovu donated 7 "smirch energy" - Smorch is rejuvenated! 1/25/19 - Vendrus donated 99 smirch! SMORCH IS OVERJOYED! 1/24/19 - Urstryx donated 2 smirch! 1/21/19 - Congridae donated 20 smirch! 1/18/19 - SandBoa donated 6 smirch! 1/18/19 - Cakeless donated 40 smirch!!! 1/17/19 - Omnidraconia donated 6 smirch! 1/16/19 - LadyEllesmere donated 1 smirch! 1/13/19 - Congridae donates 11 smirch! 1/12/19 - Usnavi donated 8 smirch! 1/12/19 - Zeppy donated 2 smirch! 1/11/19 - Caecilius donated 6 smirch! 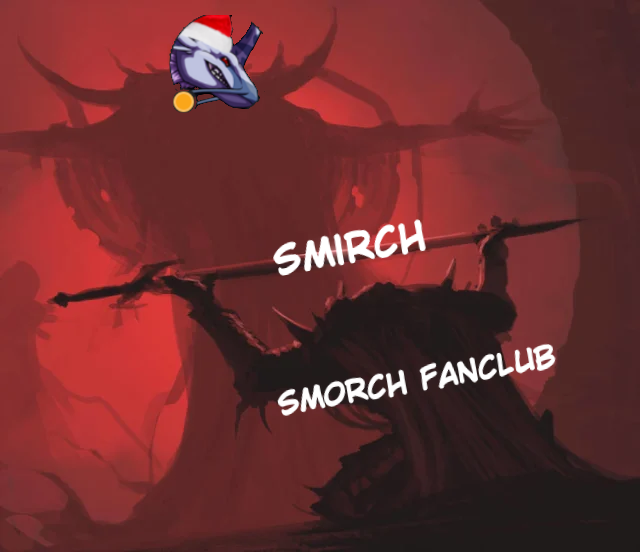 1/11/19 - Grahh donated 5 smirch and attempted to summon an army to invade Smorch. Terrified, he creates a blockade and hopes for the best. No dragons were summoned. 1/11/19 - Jayisalone donated 4 smirch! 1/10/19 - FreeToFly donated 1 smirch! 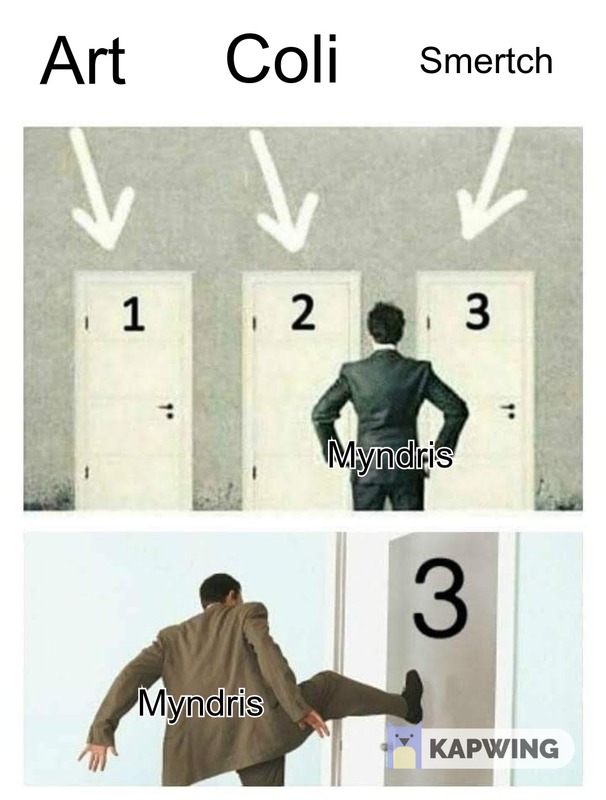 1/10/19 - ObsidianMage has given the gift of 4 smirch. Smorch is deeply appreciative. 1/10/19 - Purchased ~50 smirch. 1/10/19 - RadioactivePup has donated 1 smirch and summoned a new dragon with the name Smeerche. 1/7/19 - pokemoncha donated 2 smirch and summoned a new member with the name smirhc! 1/6/19 - Purchased 29 smirch off the auction. 1/5/19 - GardenZucchini donated 3 smirch! 1/5/19 - Alize donated 1 smirch for Smorch's wonderful quest. 1/5/19 - Sketchanie donated 4 smirch and art for the glory of Smorch! 1/5/19 - Congridae donated 3 smirch to his Smorchiness. 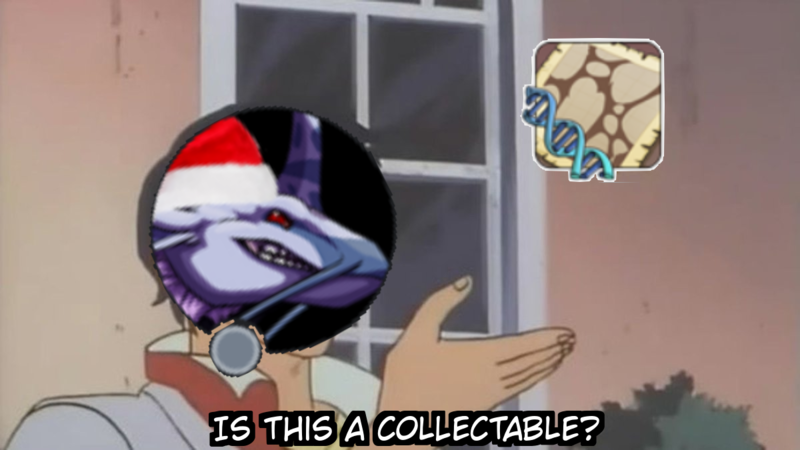 1/5/19 - Purchased 70 smirch on the auction. 1/5/19 - DynamicThesaurus donated 1 smirch to "the noble cause"! 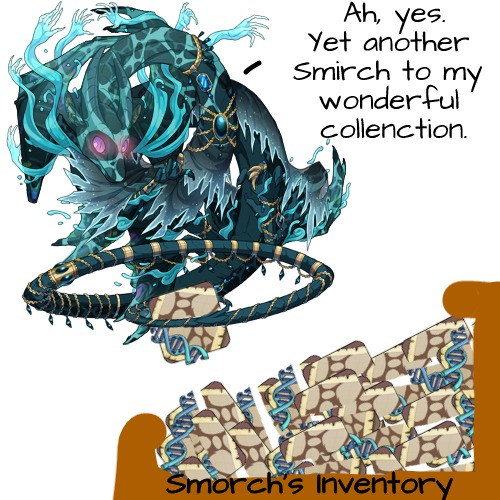 1/5/19 - Exceed donated 6 smirch for Smorch's "holy quest". 1/4/19 - Casicasi donated 2 smirch. Yummy! 1/4/19 - WavesOfPeace donated 5 smirch! 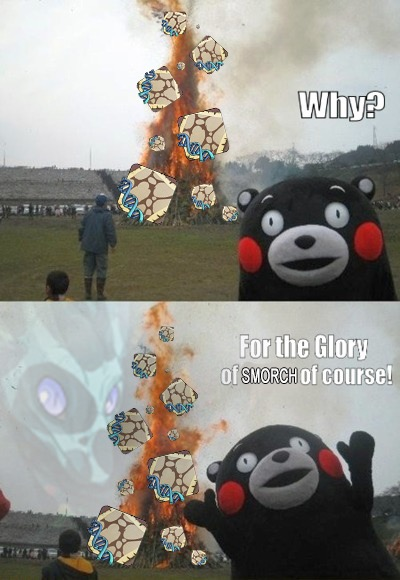 Smorch is pleased! 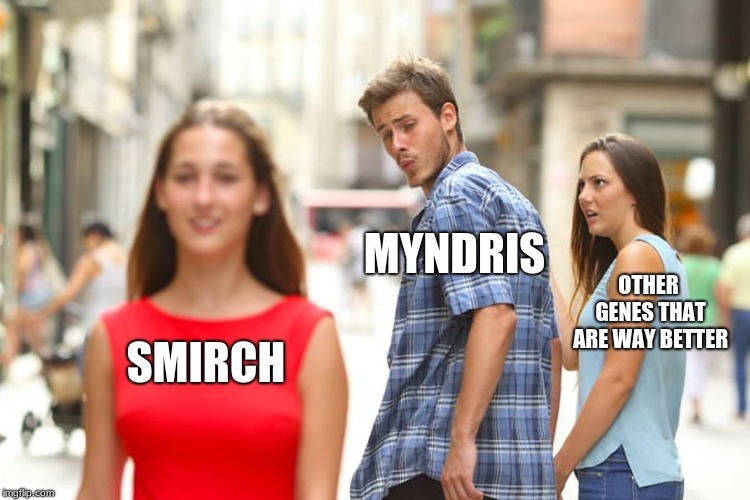 1/4/19 - Oddballme donated 12 smirch to the cause! 1/4/19 - TwentySeven donated 5 smirch "in honor of web lord, smorch". 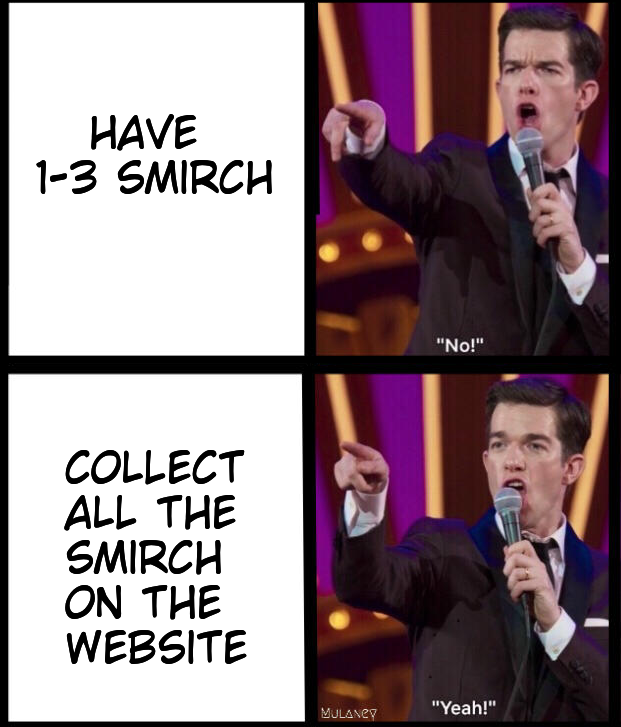 1/4/19 - Purchased 16 smirch on the auction. 1/4/19 - beyondthescene donated 5 smirch to Smorch! 1/4/19 - Lacerations donated 5 smirch to the cause! They also have given a new dragon the name Smlorch through a mis-spelling! 1/4/19 - Documentation on the SmirchQuest has begun! Swarmch is pleased to join your mighty ranks! @Myndris Add me to the list please, this quest looks unusual and like it will be fun to follow your progress! Also, WildSilver would love to join the cult club! Two new dragons have been summoned with the names Smirhc and Smlorch!